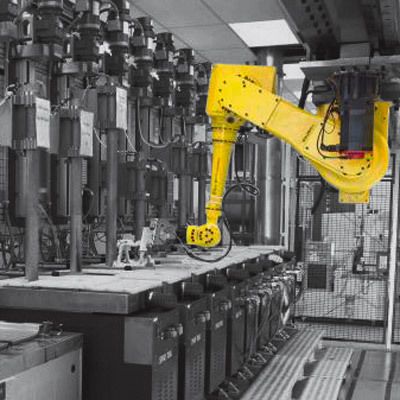 This innovative series of lightweight robots is designed for handling applications involving medium payloads from 12 to 70 kg. 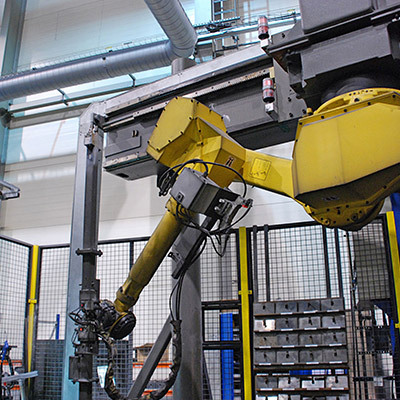 Featuring a slim wrist, rigid arm and small footprint, M-710 series robots are suitable for a wide range of applications and come with a reach of up to 3.1 m. High axis speeds make this series extremely fast. They also boast excellent payload capacities and inertia, with all the models capable of covering a diverse range of applications. Engineered for extremely high speed, maximum flexibility and reliability across a huge range of applications, the M-710iC series delivers repeatable precision and unparalleled performance. These models are entirely IP67 protected, making them ideal for use in harsh environments. 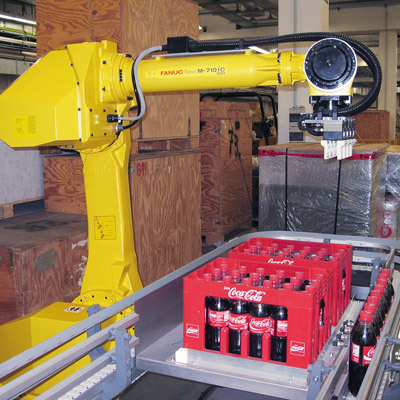 What is more, its ability to reach overhead and behind, provides this industrial robot with one of the largest work envelopes in its class. 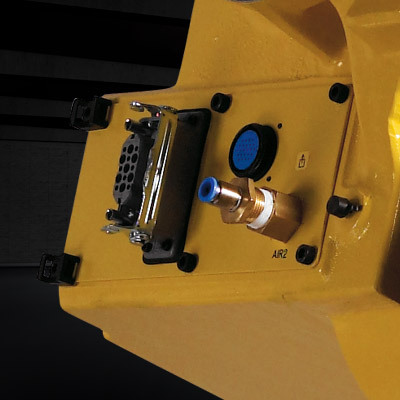 Incorporating as few mechanical components as possible, the series has been designed to increase mean times between failures and keep your spare parts requirements at an absolute minimum. 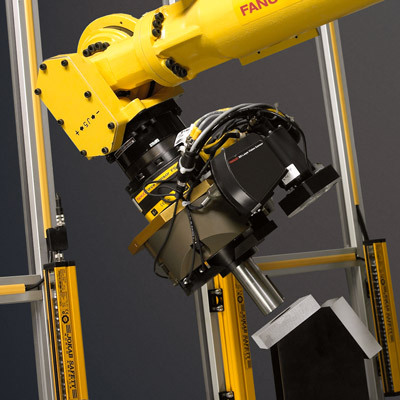 Benefiting from high inherent mechanical ridigity, the M-710 series is ideal for force applications such as polishing and deburring when equipped with a FANUC force sensor. 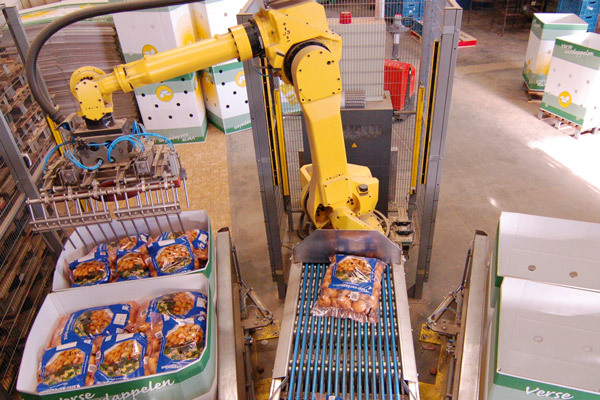 Slim arm and wrist assemblies minimise interference with system peripherals, allowing operation in confined spaces. 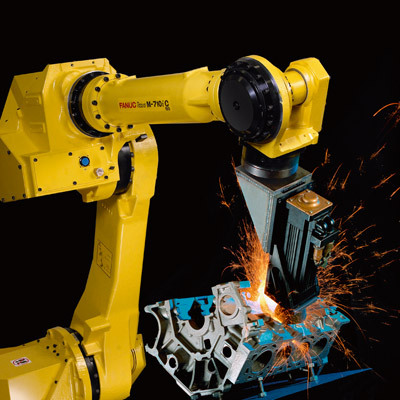 By simulating your production scenario, Roboguide shows you exactly what the M-710 series can do for you and where the savings lie. 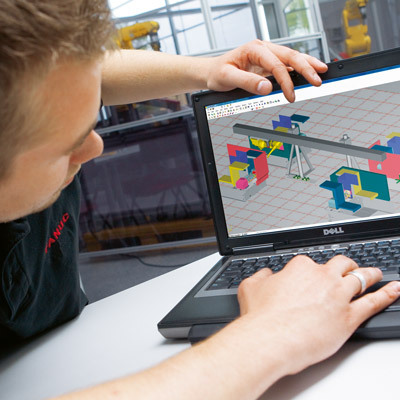 Integrated pneumatic and electrical services consisting of 8 inputs and 8 outputs plus PROFIBUS as standard are available on J3 for simple integration of end-of-arm tooling. The M-710 can be ceiling and angle mounted, enabling easier access and a maximised work envelope.